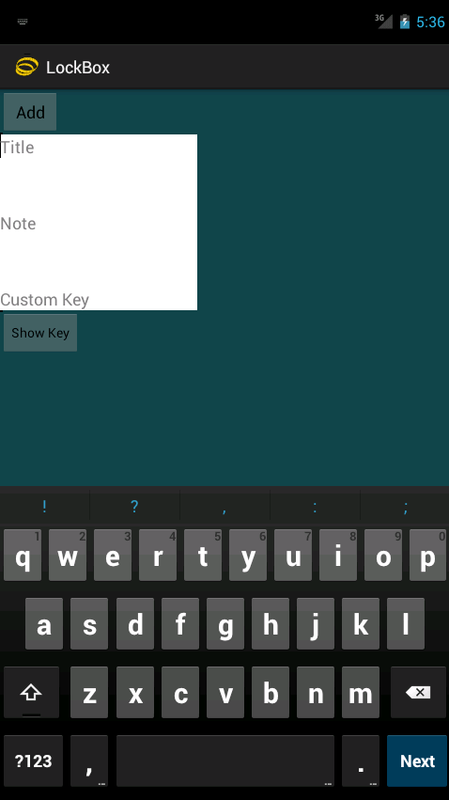 PinKeyring is an android application which allows you to store encrypted passwords, notes and data. Disclaimer: By using the PinKeystore application you release the developers, WebMeToo.com, it's employees and affiliates of any and all liabilities regarding to the application. PinKeyring was developed in good faith but in no way guarantees the stability of the application nor the protection of confidential data. By using the application PinKeystore you are agreeing that you are using it at your own risk. That being said, we hope that you find the application useful. PinKeyring should work on most android versions as long as they support AES encryption and we will adding new features as soon as they are developed. 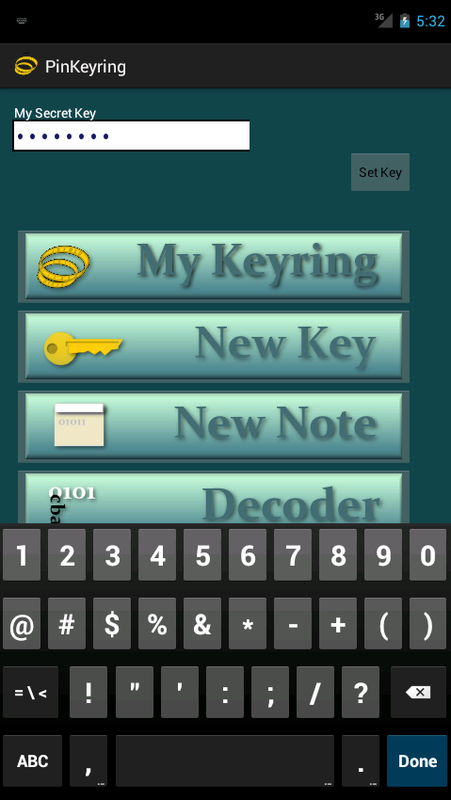 When you launch the PinKeyring application, the first thing you will notice is the Master Password box. This is your single key to all your encrypted data. You can use different keys, but only the data that is stored with the key will be readable. Simply enter your key and click the "Set Key" button. You will need to do this each time you launch the application. 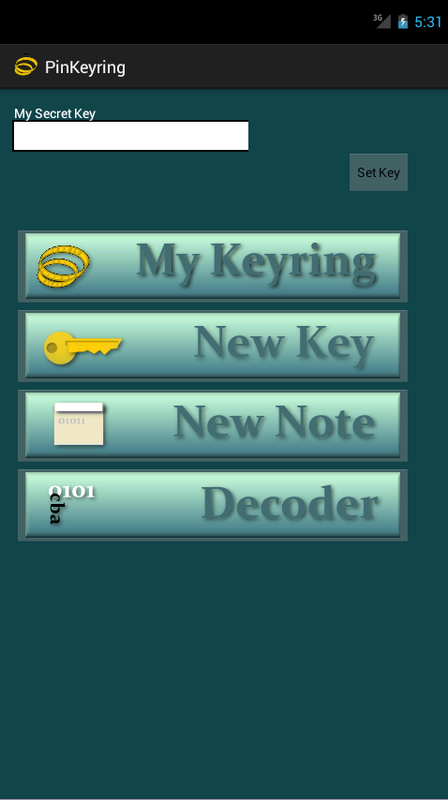 Once your key is set, any information that was stored using that key will be readable. Until you have saved at least one key or one note, your keyring will be blank. Click NewKey to create and save a new key. Fill out the key information and click Add. Your key will be saved and the form will be reset. Once you have saved at least one key, you will find it in your keyring. Notes are similar to keys but only the note data is encrypted. Once you have entered some keys, they will appear in your keyring. You can click on the key to open it in a popup.